Feeling cynical? 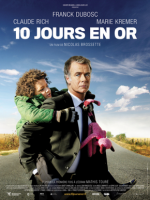 Perhaps Nicolas Brossette's 10 jours en or (2012) will soften your hardened heart. The French are never afraid to tackle a compelling prostitution drama, and we found ourselves engrossed in an interesting one this week. Simone Benloulou (Sarah Stern) is in a tricky spot. Romantic entanglement, sexual identity, and family drama blend together to create one serious quest to find out what our leading lady wants... and who she wants it with. 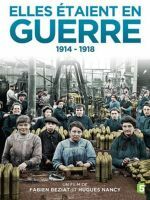 The educational thrills continue in Part 2 of Women at War on Netflix. 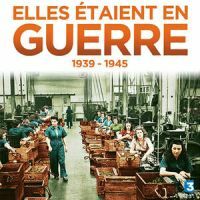 This time, we explore the years 1939-1945 and the achievements these gals attained during World War II. We can do it! The countdown to summer vacation is beginning, but there's still time to learn a thing or two. Finished with Call My Agent yet? Because we're coming at you with another recent delight of a French series, found on Netflix. It's called The Chalet and it's a mystery thriller that really creeps up on you. Just in case you wanted your world turned upside down, we have the perfect suggestion for you. You may know Eleonore Pourriat as the shy and sickly mother from 2013's You'll be a Man. This year she stepped into the director's chair to create a surprisingly authentic and insightful piece about gender roles and identity in I am Not an Easy Man. How high would you go for love? Oops, just missed it! This film is no longer available on Netflix streaming or DVD. If Valentine's day still has you on a high of emotions, go deeper with Jacques Audiard's Rust and Bone (De rouille et d’os, 2012), starring the beautiful Marion Cotillard as the broken-hearted whale trainer.